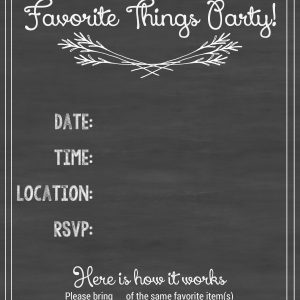 Have you heard of a Favorite Things Party? 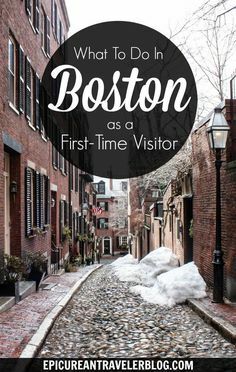 A few years ago was the first time I’d heard of something similar, and I loved the idea! What a fun thing to be able to spend time with your friends, share and gift a favorite item, and leave with just as many new favorites! Today, we are going to tell you how to host this party and give you free printables to help! First things first: Decide if you are going to host with anyone. Candace and I host ours jointly since it’s more fun to plan things together! 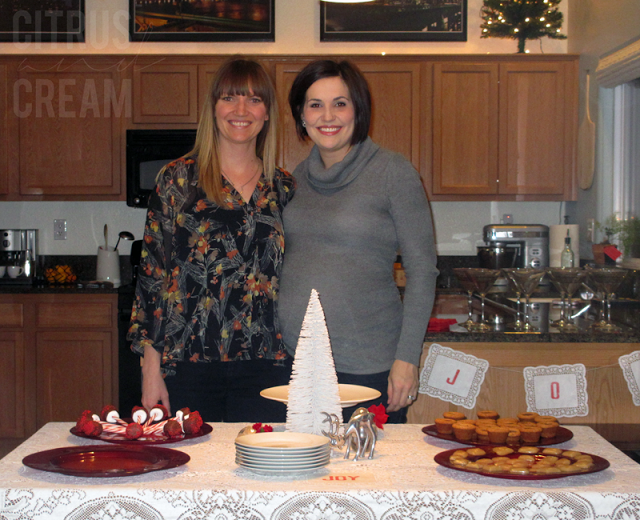 Plus it makes it a little easier around the holidays if the party prepping is split between two or more friends. Next you’ll want to plan the party details. Create a theme for your party. It can be a festive color combo (we like mint and gold! ), a holiday theme (winter wonderland), or any other favorite theme you may have. 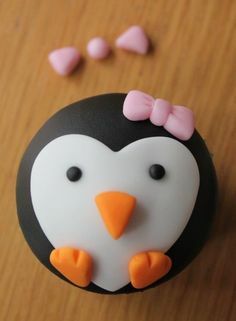 Pinterest is a great way to plan your party! 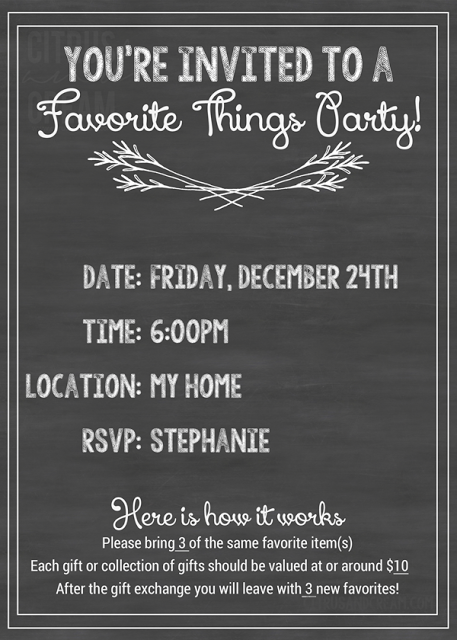 You can create a private board to pin the recipes you want to serve or even the favorite gift ideas you plan to buy, and you can also create a public board to pin “Favorite Things Party” gift inspiration. Decide on a budget for your guests. Think about the total amount. You don’t want your guest to have to spend more than they are comfortable with, and you know your guests best. I would say between $20 and $40 is usually safe. With that in mind, break it down to how many items you want your guests to bring and the budget for each item. 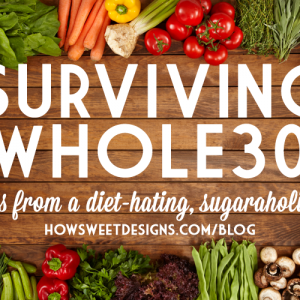 We chose a $30 budget: 3 items, $10 each. 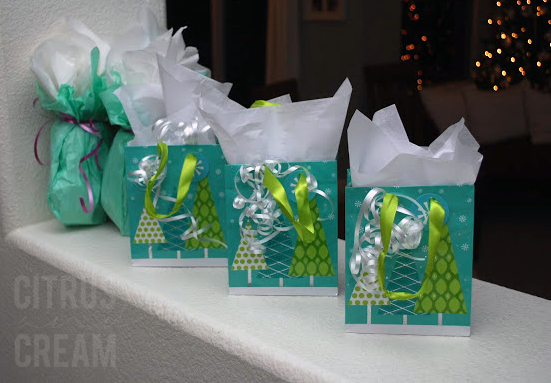 Let your guests know how to bring their items, wrapped or unwrapped. (I’ll explain more about this below). Send out your invites and bring all of your friends together. With this type of party, the more the merrier! Facebook is usually an easy way to invite friends. 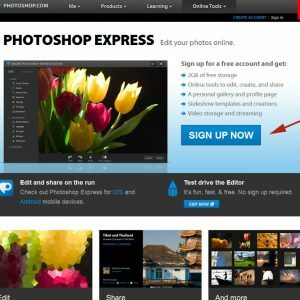 You can even upload a fun image to your invite page header (like the one we are giving you below!). Everyone on your guest list might not have Facebook, so you can send out traditional invites or e-vites, as well. Put together your menu. You can do a potluck style party, where everyone brings their favorite dish; serve appetizers, drinks, and desserts (that’s what we do! ); or if you’re crazy brave you can host the whole dinner! Do you love pizza? Let everyone make their own! Get creative and have fun! Don’t forget to try to incorporate your theme into your food, table settings, and decor. Plan the night of your party. This us where it gets really fun! When everyone arrives have them place their gifts in a specified area. Have your guests write their name down as many times as items they brought, so if everyone brought three gifts, they write their name down three times. Place them in a bowl for the gift drawing part. You can choose to have activities or not: you could play a game, have a festive craft set up, or play a favorite movie in the background. And of course you need your best Christmas music playlist! Enjoy your party, drinks, food, etc. until it’s time for the gift exchange, which we like to do last. It can take a bit of time depending on how many people you have, so plan accordingly. When that time has come, grab your bowl of names. You can choose anyone to start, or if you want to set the tone you can begin, as well. 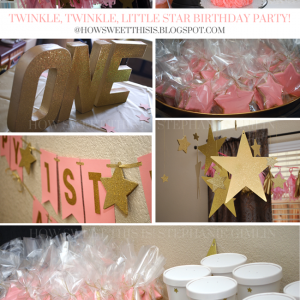 This is where your party will differ depending whether or not you chose to have your guests wrap their gifts. Draw as many names out of the bowl as gifts your guest brought. Again, if all of your guests brought three gifts, you will draw three DIFFERENT names. Make sure you don’t draw any duplicate names. – If your gifts are wrapped, the person who drew the names will grab the gifts they brought and distribute them to the three people whose names she drew. Then, sit back and enjoy watching your friends unwrap your gift and let them know why you love it so much! Pass the bowl and let another friend draw three names and hand out their gifts. Continue this until everyone has given out their gifts! – If your gifts are unwrapped, the three guests whose name you’ve drawn get to go shopping for 1 item each. All of the gifts will be unwrapped and displayed, so they will get to look and choose something they’d love! Then draw another three names and let them go shopping for one time each. This process will continue until everyone has gone shopping three differerent times and chosen three different gifts! We choose to have everyone wrap their gifts. There is some excitement in everyone actually getting to unwrap gifts and for the gift-giver to watch as people discover what they’ve received. The con to this style is that while everyone will no doubt bring great items, there are just some items that your guest won’t be able to enjoy to its full potential. Example: Last year I received an awesome little bottle of wine; however, I am not a wine drinker and I was pregnant at the time, so it wasn’t a gift that was going to be enjoyed by me. Another friend received a beauty product that she had an allergy to. We actually ended up swapping and the very minor problem was solved! If you choose not to wrap your gifts, you know everyone will be able to pick what they would use and love. Also, everyone gets to see what the items are and enjoy them before the gift exchange. The thing I worry about with this style is that someone’s gifts wouldn’t be picked right away and feelings would get hurt. As the host, you could easily fix that if you notice a few items aren’t being chosen. Odds are this won’t be an issue. At the end of the night everyone will leave with three new favorite items! 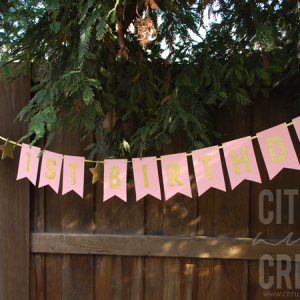 To help you kick off your party, we have created a few items for you to download and use! 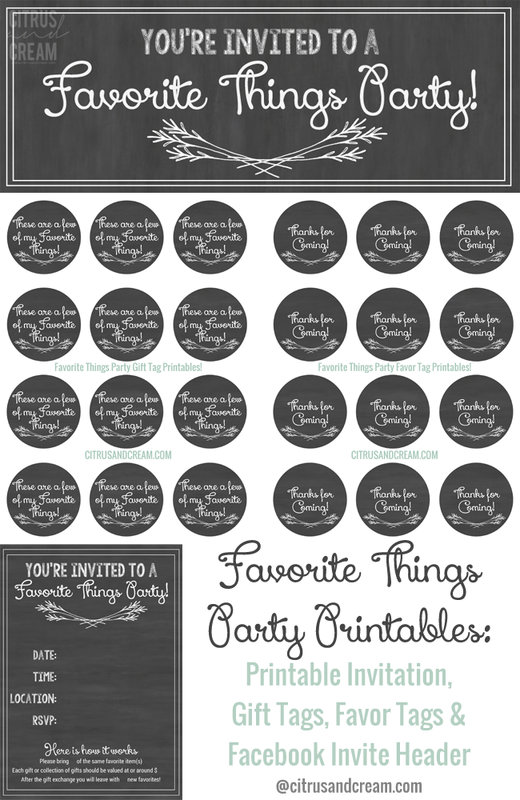 Since chalkboards are easily a favorite of ours (and just about everyone else right now) we decided it would be the perfect background for your printables. 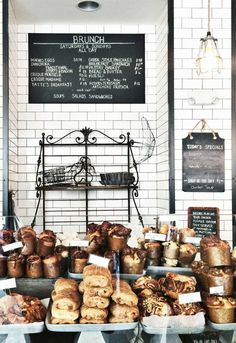 Plus chalkboards are easily paired with any color scheme. Facebook Invite Cover Photo Download, shown at the top above. 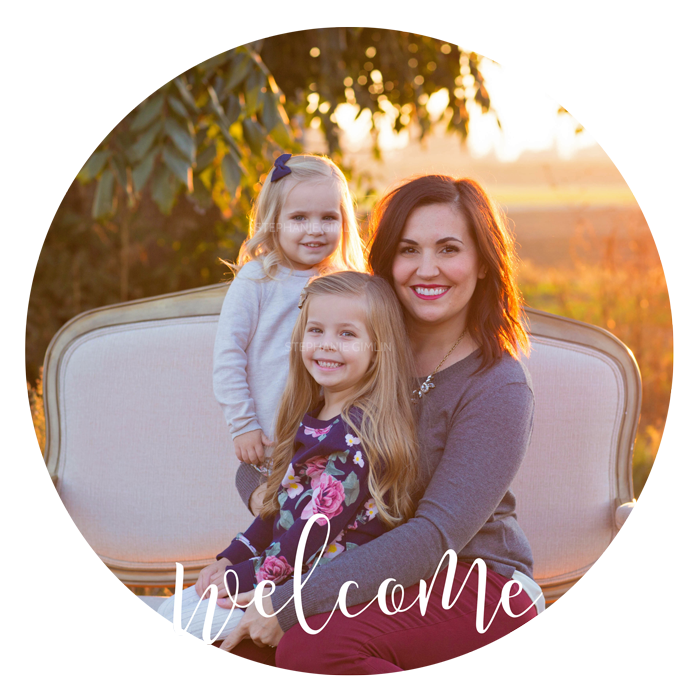 Printable Invite: This can be printed on any 5×7 photo paper or cardstock. 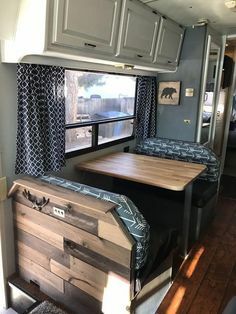 You can use either a chalk marker or metallic Sharpee to fill everything in. Click on the links below to download. This is an example of how to fill in the card with prompts (particularly the bottom portion). 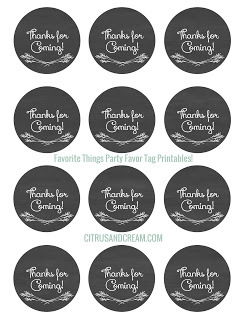 Circle favor and gift tags: Print on 8 1/2 x 11 paper and cut, punch a hole, and tie to your gift! You’re all set! Have fun, and don’t forget to come back and let us know how it goes or share photos on our Facebook page!! Copyright: Digital files and downloads are for PERSONAL use only. Commercial use is prohibited. Design and files are copyright Citrus and Cream and cannot be redistributed or edited. If you wish to share these graphics, please link directly to this post, do not host downloads.Rustic clipart created by We Lived Happily Ever After. You can find it here! Thank you so much for the printables! I have my tags cut out and ready to but on some brown paper bags for shopping and the thanks tags for my guests treat bags! I can’t wait for my party tomorrow night! And thank you for explaining the different ways to play the game! This was really helpful! Awesome! I am so glad you liked everything and that the post has helped! We just had our fourth annual party and it was a hit, everyone loves this party 🙂 Have fun! This is the best party idea I’ve seen in a while! I was trying to think of something different for the holidays and this is it. Cheers! hosting one next month – thanks for explaining it well.